The American exchange CBOE plans to expand a line of future contracts - besides Bitcoin platform will introduce Ethereum cryptocurrency! The launch of futures for ETH coins is planned for the end of 2018! 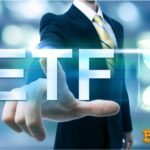 Ethereum futures will significantly expand the opportunities for traders. Market participants will be able to trade contracts based on their forecasts for the ETH rate, this will increase the liquidity of the cryptocurrency and attract new investors. December 1, 2017 CBOE president, Chris Concannon, said that the exchange interested in trading futures for Ethereum and Bitcoin Cash. So in the future we can expect the launch of contracts for BCH! The company's application for futures will considere by the US Commodity Futures Trading Commission, not by the Securities and Exchange Commission, as Ethereum has not received the official status of "security". The main competitor of CBOE in the market of cryptocurrency futures is the company CME Group, which deals with the sale of contracts for Bitcoin. Unlike CBOE, CME Group does not intend to add futures to other digital assets. 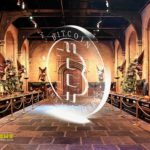 According to the CEO, Terry Duffy, futures contracts for virtual currencies can harm the reputation of the company because of the high level of volatility of the coin rate. 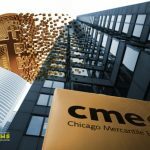 CME Group does not want to take risks and while concentrating only on Bitcoin! © 2018 bit.news | queries 230, for 0.160 sec.